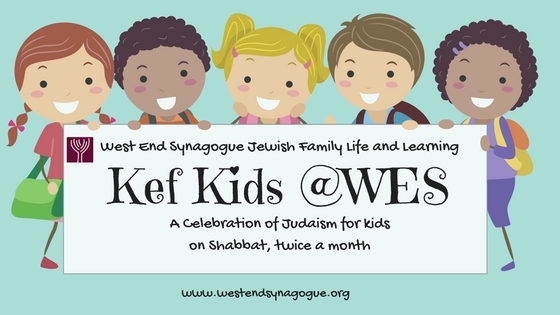 Kef Kids meets two Saturdays a month, from 2:00-3:30pm at West End Synagogue – 190 Amsterdam Avenue (at 69th Street). Registration: $818/year per student for members and $918/year per student for non-members. Step 2. Click here for online payment. Sharon Cinnamon, parent of Kef Kids participants. Questions? Please contact Cantor Ayelet Porzecanski via aporzecanski [at] westendsynagogue.org (subject: I'd%20love%20to%20know%20more%20about%20Kef%20Kids!) (email) or call 212-579-0777 x229.